This is probably the shortest blog post we’ve done in a while but both of us really want to make it clear that we LOVE ice blended green tea drinks. Generally we visit either Starbucks or My Sweet Memory but after walking past Tom N Toms Sydney so many times we decided to finally check it out after worrying about whether it could be as good as those in Seoul. 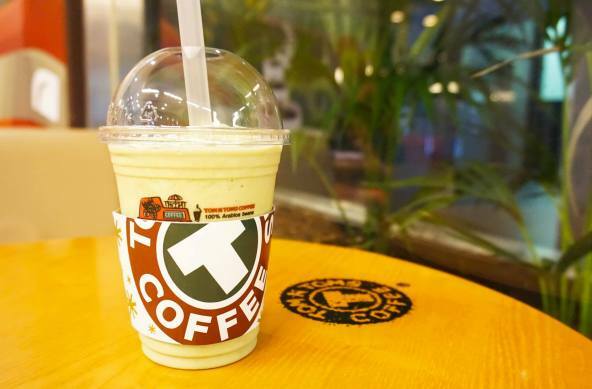 This is probably the best green tea ice blended we’ve ever had, the ice is almost as smooth as a slushy but also really creamy because of all the milk. The best part is that you can’t taste the matcha powder texture which is actually the most common issue with other cafes. Just to mix it up a little on our second visit I also ordered the praline ice blended which was more of a chocolate drink with a nutty taste and whipped cream. We were addicted to praline chocolates when visiting Europe so this was a nice reminder and it tasted really nice too! Mr C still thinks that green tea is better though, but I really love my praline so I’ll probably order this again. 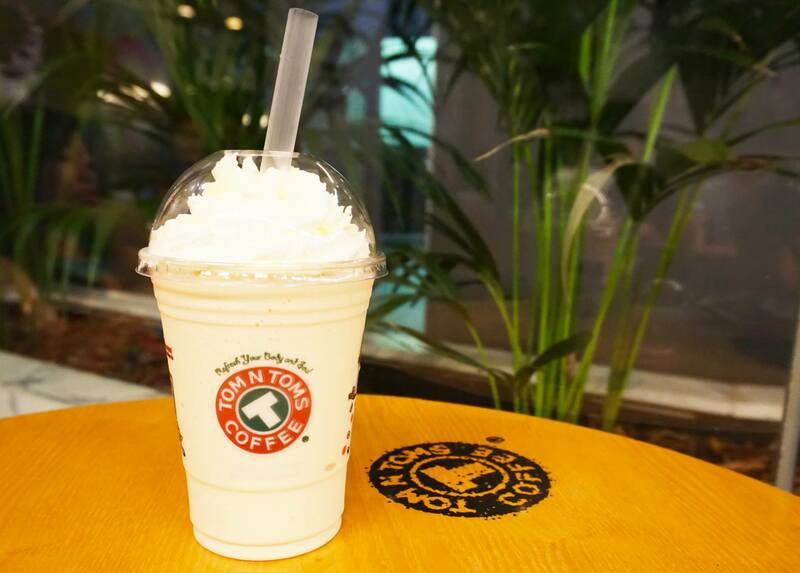 We’re always on the constant look out for awesome ice blended drinks as we love the refreshing taste, so far Tom N Toms is our favourite in Sydney especially for the green tea but we’re always on the lookout! hello fellow green tea lover! we should go hang in chanoma! Indeed – chanoma is awesome! Yeah, it does look really smooth to me! Thanks for the tip! Need to try this one out, soon!! !